I practiced emergency engine-out procedures with my instructor last evening. That was a first. It was a lot like using flight simulator with the unusual attitudes and low altitudes outside of the traffic pattern. It was a great experience. Flying can get pretty addictive. 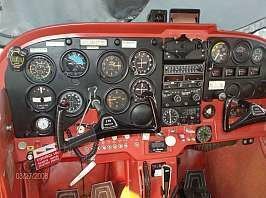 This pic is of the instrument panel almost exactly like the plane I fly.